On 12 April Human Resources welcomed over 250 esteemed guests to a glittering awards ceremony for the Asia Recruitment Awards 2018, Hong Kong – the only regional recruitment awards show dedicated to recognising and celebrating the best in talent acquisition within Asia. 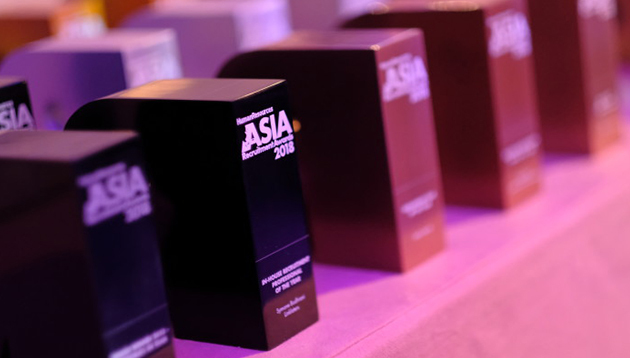 Held at Hotel ICON, Hong Kong, the event saw the city’s best recruiters, both in-house and agencies, come together to celebrate their wins across 28 categories. Organised by Human Resources magazine and produced by Annie Wu, here are the highlights from the awards. DBS Bank (Hong Kong) Limited took home the award for Grand Winner 2018 – Corporate HR Team, after having collected trophies in five other categories throughout the night. The company was awarded the gold for Best Graduate Recruitment Programme, Best Mobile Recruiting Strategy – Corporate HR Team, silver for Best Use of Digital Media and Best Use of Recruitment Technology and a Bronze for Best Recruitment Innovation – Corporate HR Team. The second grand prize of the evening went to Top20Talent by CGP, who won the award for Grand Winner 2018 – Recruitment Agency. Leading up to the big win, the company had collected the gold for Best Mobile Experience – Recruitment Agency and silver for Best Recruitment Innovation – Recruitment Agency. Symone Budhrani from Linklaters was honoured with the award for In-House Recruitment Professional of the Year, while Adam Michael Toctan from MCG&Co was crowned Recruitment Consultant of the Year. Both Lucky Air Co. and Connectus Group demonstrated the value of good teamwork and were awarded In-house Recruitment Team of the Year and Recruitment Team of the Year, respectively.